Powerful, portable wet/dry vacuum design specifically for large area recovery of liquids. 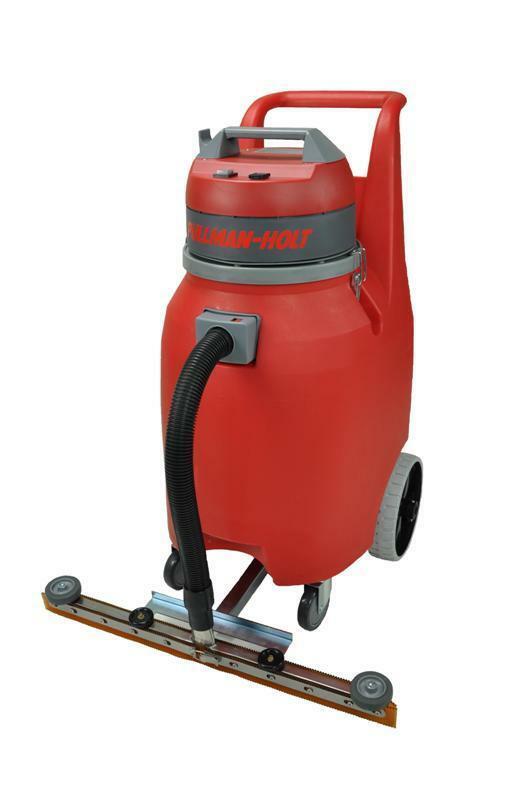 The 45-20SV is equipped with a front-mounted 29-inch squeegee assembly that is raised and lowered via foot pedal. Incredible suction power is generated by a long life, commercial grade 2HP by-pass motor. A mechanical float system provides reliable shut off during high volume wet recovery. For dry pick-up of dust and debris, a high efficiency drop-in cloth filter bag is also provided.